No trip to Florida is complete without thoughts turning to the theme parks and studios of Orlando and if you’re in the area with kids then it would be rude not to look up Mickey Mouse and the gang. Check out the Orlando top 10 list below that’s packed-full of fountains, culture and ‘gators galore. With a cityscape view to rival New York’s Central Park, Lake Eola is a fabulous downtown oasis that gives you the opportunity to relax and unwind without leaving the city limits. With highlights, including the park’s multi-coloured fountain display and regular tai-chi classes taking place around the lake, this truly is a place of peace and tranquillity. 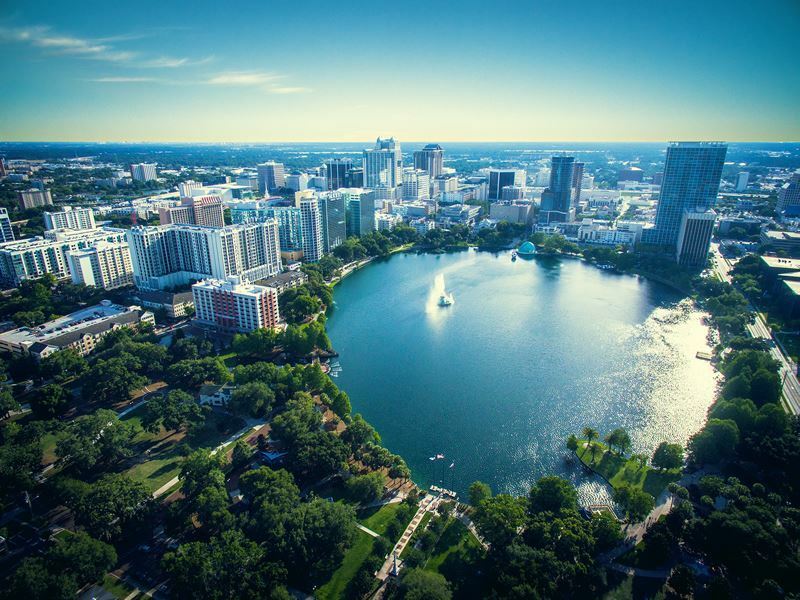 With regular events held throughout the year, including: fiestas, fireworks and martial arts displays, Lake Eola promises an affordable alternative to the theme parks as well as a great spot for a picnic. OMA can be found on North Mills Avenue and features an eclectic exhibition of art work from all over the world. Collections range from African textiles and beadwork to contemporary American graphics, featuring the likes of: Warhol, Bowling and Rauschenberg, which all add up to a thoroughly absorbing visit. With local artists and refreshments served up during the evening of the first Thursday of the month and plenty of other events, throughout the calendar year, Orlando’s Museum of Art promises an entertaining and memorable experience for all lovers of art and culture. If you prefer your parks at a slightly less character-driven pace then check out the glorious tropical surroundings of the Harry P. Leu Gardens which are located on North Forest Avenue in Orlando. This is a truly relaxing alternative to Disneyland and conjures up over 50 acres of botanical beauty with museums and historic houses adding to the allure. With plant collections including species as diverse as: bamboo, citrus, daylily and ferns, this is every horticulturist’s dream destination and even if you just fancy a peaceful snooze, you’ve come to the right place. Top tip: date nights, jazz strolls and story time events all add to what promises to be a visit to remember. Double the size of the Magic Kingdom and dedicated to human innovation, culture and achievement, Epcot promises over 300 acres of technological utopian fun. The park itself is split into three key zones: Future, World and Character, which enables visitors to stroll amongst gigantic glass pyramids and the countries of the world as well as getting to meet all of your favourite Disney characters. With numerous events and festivals, featured throughout the calendar year, Epcot is a brilliant means by which to plan a holiday schedule and from food & wine to flowers & gardens, there’s bound to be something for everyone to enjoy. This was the first Disney-inspired theme park in Florida and is still packing in the crowds with up to 17 million eager visitors per year. Once you get past the iconic fairy-tale castle of Cinderella you’ll be treated to six separate lands which feature everything that your heart desires, including: the shops of Main Street, jungles of Adventureland and the cowboy adventures in Frontierland. 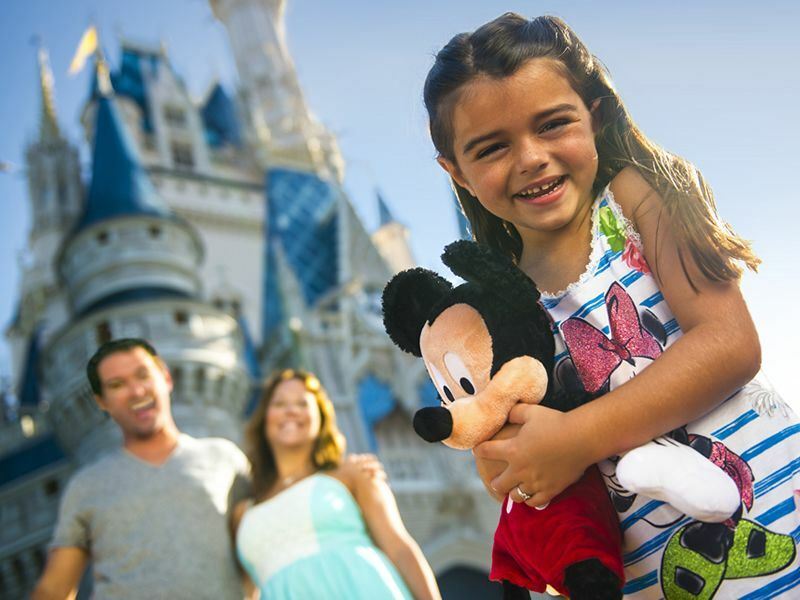 With other subjects, such as: the American revolution, the Middle Ages and UFO’s all covered the Magic Kingdom is as much a learning experience as it is a darn good day out. Located just minutes away from SeaWorld, this outdoor go-kart track provides a challenging and petrol-fuelled alternative to Shamu the killer whale and if you fancy pitting your driving skills against the track, the clock and your friends, then this is an excellent choice both day and night. There are lots of different programs and formats available which allow you to put your pedal to the metal and reach speeds of 45mph. Note: Wednesday is race night and if you fancy your chances you can win some prizes for being the top rental driver. You can’t really get many images that are more globally recognised other than the characters of Walt Disney and a visit to the theme park, which spans over 30,000 acres, will leave you in no doubt as to their universal appeal. Walt Disney World is the umbrella name for four theme parks: Magic Kingdom, Epcot, Hollywood Studios and Disney’s Animal Kingdom, all of which are located in Orange County. From Cinderella Castles and Fantasyland to time-machines and Pixar Animation, whatever you or your kids are into - Walt Disney’s got it tapped. Further reading: We know if you're heading to Orlando, you'll be spending most of your time enjoying the fabulous attractions available.. Therefore, we check out the top 10 theme parks in Orlando.